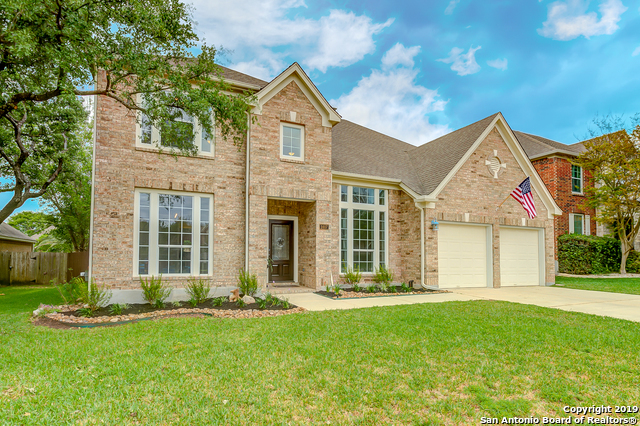 All FAIRWAY BRIDGE homes currently listed for sale in San Antonio as of 04/23/2019 are shown below. You can change the search criteria at any time by pressing the 'Change Search' button below. 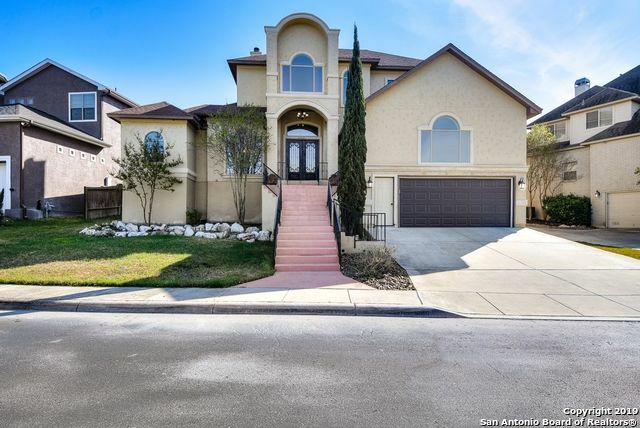 "PRIME location in the heart of Stone Oak sitting on an amazing cul de sac. This home offers exquisite curb appeal with beautiful brick, manicured landscaping and mature trees. Fresh paint throughout this open and spacious floor plan. Elegant crown molding and fixtures welcome you as you enjoy beautiful porcelain tile throughout 1st floor and wet area. Kitchen island overlooks a captivating living area with vaulted ceilings and an abundance of natural light. New stainless appliances convey. No ci"
"Stately, custom home in desirable Mountain Lodge gated community w/tons of amenities incl 2 pools & basketball court. Entertain in this beautiful, open floorplan with large island kitchen or outside on the expansive covered back porch. Upstairs you will find a game room and large secondary bedrooms w/views. Backyard has room for a pool and access to a downstairs bathroom. So many updates, high ceilings, Top Rated Schools, & no city taxes! Garage w/extra height is great for storage!This is a must"